- Pop a few drops of essential oil in the inside of the toilet roll then every time you reach for loo paper you’ll get a fresh scent flying around, try Eucalyptus or Orange. - A Afew drops onto your hand towel so when you dry your hands the essential oils will create an aromatherapy experience for you. We love Lemongrass or Rosemary (or both!) they have great anti-bacterial properties too so a double whammy. - Try a few drops in the bottom of your shower. How about some Lavender or Chamomile in the evenings for caaaalm? Lime or Bergamot in the morning for a wake-me-the-hell-up?! Leave them in or next to the shower so you don't forget. The heat from your shower will diffuse the drops up onto you and the bathroom activating all your senses for the ultimate aromatherapy experience– blissful! - Leave a SNB Uplifting Citrus Spray sitting quietly on top of your toilet to help keep everything smelling super fresh! A zesty blend of Lime, Orange, Lemongrass, Grapefruit and Lemon Myrtle. You know how obsessed we are with essential oils!? They are such versatile little bottles of magic and the best part if you can customise and choose the ones you love the most - citrus, floral, herby, spicy? Always look for 100% pure essential oils, we love Equivalence Mind Body Soul as Candice is a qualified Aromatherapist who REALLY knows her stuff. 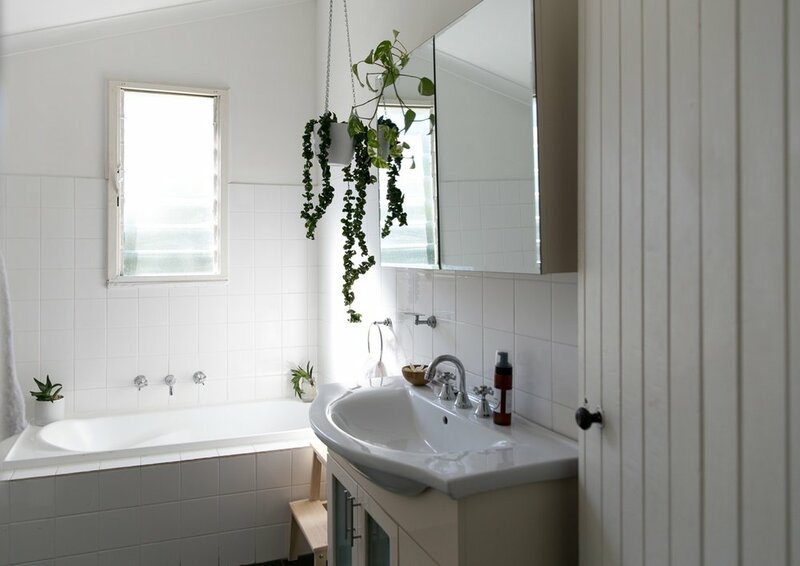 Most importantly have fun creating your natural bathroom sanctuary!